At their core, syringe services programs (SSPs), also known as needle exchange programs, provide clean needles to IDUs to help prevent the spread of disease. Throughout the height of the brass knuckles War on Drugs era, politicians tended to vehemently oppose SSPs, denouncing them as morally dubious operations that encourage drug use with a tacit approval of the behavior. In fact, a wealth of scientific literature has found that SSPs help reduce injection drug use and can be highly effective at preventing HIV transmission. They can also prevent hepatitis C virus’s (HCV) spread among IDU networks, though not as effectively as with HIV because HCV is so much more readily transmitted through the sharing of needles and drug paraphernalia. Often, HCV is already highly entrenched in an IDU population before an SSP can step in to address the problem. Trump has expressed a commitment to combatting the raging opioid epidemic, which encompasses both prescription drug abuse and injection drug use, and has advocated for addiction treatment. He also claims that his proposed wall on the U.S­.-Mexico border would thwart drug trafficking. But when it comes to SSPs, specifically, the Republican Electoral College victor has not indicated his stance on such harm reduction efforts. On the other hand, Vice President–elect Mike Pence, the Republican governor of Indiana, has a direct, and controversial, track record regarding SSPs. In response to a recent massive outbreak of HIV and HCV among IDUs in a rural county in southern Indiana, Pence ultimately authorized SSPs in the state, but only after a months-long delay that infuriated many public health advocates. Steffanie A. Strathdee, PhD, the associate dean of global health sciences at the University of California, San Diego, School of Medicine, is pessimistic about how the Trump administration, the still-Republican-dominated House and Senate and the increasingly red state legislatures and governorships will treat SSPs, directly or indirectly, in 2017 and beyond. Because IDUs are such a traditionally disenfranchised population, the promise of clean needles is essentially the carrot that lures this high-risk group to the kind of institutional support that may help turn their lives around, thus providing far greater benefits than just HIV and HCV prevention. At its most comprehensive, an SSP can provide IDUs with a one-stop shop for a panoply of services. Outside of giving out clean needles and perhaps even serving as supervised injection facilities, SSPs may offer referrals to or provide addiction and mental health treatment, as well as access to the anti-overdose drug Narcan (naloxone). SSP staff may help IDUs gain health coverage and secure ongoing treatment for HIV and curative HCV therapy, as well as vaccinations for hepatitis A and B viruses (HAV/HBV). (There is no vaccine for HCV.) Some SSPs may even offer meals and clothing. SSPs have been around since the early days of the AIDS epidemic in the 1980s, when the few that operated did so in defiance of laws that in almost all cases effectively forbade them. Lacking the authority to outright forbid SSPs, in 1988, Congress enacted a ban on federal funding for the programs. With the exception of a one-year lift in 2009, the ban remained in place until a year ago. State laws governing SSPs have become increasingly supportive over time and at present amount to a patchwork of statutes that range from outright bans to approvals with conditions to full-fledged approvals with significant funding attached. Today, there are approximately 200 SSPs in the United States. From interviews with IDUs in 22 U.S. cities with high HIV rates, Centers for Disease Control and Prevention (CDC) researchers recently found that in 2015, 54 percent of IDUs reported using an SSP during the previous year, compared with just 36 percent in 2015. About 9 percent of annual HIV diagnoses are among IDUs, a proportion that was as high as approximately 30 percent of new AIDS diagnoses at its peak in 1993. 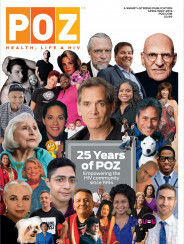 Thanks likely in part to SSPs, the number of annual HIV diagnoses was cut in half among Black and Latino IDUs between 2008 and 2014, although whites saw only a 28 percent reduction, according to the CDC. But during the past several years, injection drug use has fueled a national 2.5-fold rise in new cases of hep C, with a markedly high increase in rural counties east of the Mississippi, in particular among young whites. HCV outbreaks are often harbingers of a subsequent rise in HIV transmission through injection-drug networks. The new face of injection drug use is white, young, middle class and rural, as the heroin trade piggybacks on the prescription painkiller epidemic, providing a cheaper, easier-to-access alternative to opiate pills like Vicodin (hydrocodone) and Oxycontin (oxycodone). The CDC’s 22-city survey found that in 2005, whites and Blacks each constituted 38 percent of new IDUs; by 2015, 54 percent of new users were white and 19 percent were Black. Forebodingly, the new white users are more inclined to share needles than African-American IDUs. The big fear that often drives the increase in political acceptance of SSPs is the critical risk that communities with substantial IDU populations will suffer the same fate as Scott County, Indiana. In early 2015, public health officials first identified signs of what quickly unfolded as one of the worst HIV outbreaks in U.S. history in this rural county in southern Indiana, about 100 miles north of Louisville, Kentucky. Owing to widespread injection of the prescription opiate Opana (oxymorphone) in the area, 212 out of the county’s 23,750 residents would contract the virus before the epidemic was contained in 2016. Almost all of these individuals are coinfected with HCV. The outbreak prompted the CDC to issue an alert in June 2016 warning that 220 counties in 26 states are particularly vulnerable to similar outbreaks of HIV and HCV on account of high local rates of injection drug use. Appalachia is at particularly high risk: 56 percent of the identified counties are in Kentucky, Tennessee and West Virginia. There are other high-risk counties in Arizona, Utah, Missouri, Michigan, Maine, Montana and California. Many HIV and HCV advocates say Pence’s administration contributed to the Scott County outbreak by leading to the shutdown of the local Planned Parenthood, leaving a gaping hole where IDUs might have availed themselves of HIV and HCV testing services. Others doubt the clinic would have done much to prevent the outbreak. Scorn toward Pence is especially high in reaction to his months-long delay in approving SSPs in the state after the identification of the outbreak; before finally making a decision, he said he was “praying on it.” Additionally, the new law grants counties only a one-year waiver from the existing SSP ban after they declare a state of emergency, although the waivers are renewable. 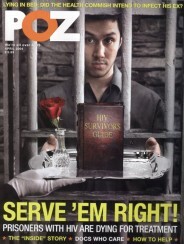 “Basically, we had to drag him kicking and screaming to make the right decisions—after the fact,” says Strathdee, who lambastes the state-of-emergency requirement as “crazy,” given that SSPs work best by preventing HIV and HCV outbreaks before they happen, not by containing them after they have begun. The Indiana outbreak has prompted a number of states, including neighboring Kentucky, to authorize syringe exchange programs. However, the Bluegrass State, wide swaths of which are at very high risk of a similar outbreak, grants authority to its 120 counties to determine individually whether to permit SSPs. In some cases, both an individual town and the surrounding county may have to approve such a program. Thus far, there are only 16 SSP locations in Kentucky, and progress is critically lacking in the eastern Appalachian part of the state, where the need is extremely urgent. “Republicans now own this policy,” says Daniel Raymond, policy director at the Harm Reduction Coalition in New York City, who is relatively hopeful that such political support for SSPs will eventually include the Trump administration. Demographic and regional shifts in injection-drug-use patterns, along with evolving attitudes about the effectiveness of punitive drug laws and mass incarceration, likely contribute to SSPs’ changing favor among conservatives in particular. Many experts on drug policy see racist double standards at play in today’s gentler, more forgiving political response to the opiate epidemic, with its white, rural, middle-class face. The tenor of this approach contrasts starkly with the government’s extraordinarily punitive response to the crack epidemic of the 1980s, which was dominated by poor, inner-city African Americans. Raymond, however, is keen to point out that when crystal meth took hold among whites in the American heartland about a decade ago, legislators hardly called for a harm-reduction-based response. When it comes to the Trump Justice Department, the harm reduction approach to drug policy may indeed receive a chilly response. Barack Obama’s Justice Department has, for example, often favored a hands-off approach to increasingly permissive state marijuana laws. In contrast, Trump’s attorney general nominee, Jeff Sessions, the Republican junior senator from Alabama, has been hostile to such liberalization of drug policy. A more aggressive Justice Department might go after supervised injection facilities, which are vulnerable to prosecution under federal statutes. The legislation that lifted the federal ban on SSP funding retains an air of reluctance, given the curious fact that such money may not be used to pay for the actual syringes; instead, federal dollars may support other components of the programs. Also, the policy shift was not paired with any new funding. State and local health departments may, however, look to existing federal funding streams to support SSPs—by tapping into HIV prevention dollars from the CDC, for example. States that approve SSPs often do not allocate specific budgets for them, as was the case in Indiana. So historically, money to support the programs has frequently been carved out of state or local HIV prevention dollars. Raymond argues that, on the federal front, SSPs could possibly seek financial support from the Department of Housing and Urban Development (HUD) to support homeless IDUs. He also imagines that the Health Resources & Services Administration (HRSA) might integrate SSPs into the structure of the federally qualified health center (FQHC), a designation that grants community clinics that adhere to certain guidelines greater access to federal funds. Whether such federal funding streams may dry up in the face of shifting priorities in Washington, DC, is a pressing question. Given Trump’s promise of shoring up defense spending, Congress could wind up raiding discretionary budgets for public health. Also, an overhaul of the tax code could drain the federal coffers and further starve such federal agencies of funds. Of course, conservatives have long supported tax cuts as a means to greater economic growth and ultimately increased tax revenue, but real-world experience has left many economists unimpressed with such trickle-down policies. Then there are the Republicans’ promised efforts to dismantle the Affordable Care Act (ACA, or Obamacare) and block-grant Medicaid, which could roll back the dramatic recent reduction in the U.S. uninsured rate. A drop in insurance rolls would likely limit SSPs’ potential to connect IDUs to health care and drug treatment and to provide case management and other care coordination services.